Welcome to a weekly feature here at Movies With Abe. I'm going to be providing a handy guide to a few choice movies currently playing in theatres as well as several films newly released on DVD. I’ll also aim to comment on those films I have not yet had the chance to see, and I invite you to add in your thoughts on any films I haven’t seen in the comments below. Understandably, some weeks will have considerably fewer releases to address than others. 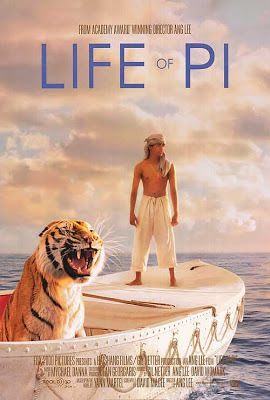 Life of Pi (recommended): Ang Lee’s adaptation of Yann Martel’s popular novel is a story made to be adapted into a movie, and the director does a terrific job of making a tale of isolation invigorating. The cinematography is even more compelling than the plot. Now playing in wide release, as well as in 3-D and IMAX. Read my review from yesterday. From two weeks ago, The Silver Linings Playbook, Rust and Bone, and Hitchcock are all buzz-worthy. This week, Killing Me Softly appeals somewhat, and The Collection certainly doesn’t. A handful of films I haven’t seen with varying degrees of appeal: Lawless, Men in Black 3, ParaNorman, Sparkle, Step Up: Revolution. 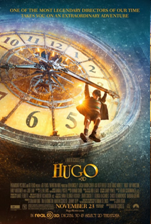 Hugo (recommended): This Best Picture nominee and winner of five Oscars is a gorgeous cinematic experience with a certain enthusiasm for the movies. It has its magical moments, and its only real flaw is trying to be too fantastical at times. Definitely a worthwhile view, and HD couldn’t hurt. Take This Waltz (mixed bag): This Tribeca Film Festival entry is intriguingly shot, and most notable for the dramatic performances featured by Seth Rogen and Sarah Silverman. Michelle Williams is in the lead in a familiar role, and the film often appears to be more captivating than it actually is.